Wisconsin is known for producing some truly monster bucks. Bow hunters and gun hunters alike hold deer hunting in Wisconsin in high esteem. Wisconsin offers a wealth of farmland in the south and forest land in the north of the state, making it ideal for the deer herd. While many other states are implementing antler restrictions, Wisconsin continues defining bucks as, “A deer with at least one antler which is three inches or longer in length.” While this is technically an AR, it is not as stringent as what is seen in other states. Instead, the mentality of many Wisconsin hunters shifted in the 1990s. Hunters often now take a doe to guarantee meat in the freezer, but hang onto a buck tag for that wall hanger. Sure spikes are still harvested, but the overall change in thinking has increased the number of trophy bucks across the state. So what are some of the largest bucks ever recorded in the State of Wisconsin? That depends on which system is being used to measure the buck; that’s where things can get a little muddy. Arguably the two most respected systems and record keepers would be Boone and Crockett, as well as Pope & Young. To get an accurate score, a rather complex points system is used by an official measurer. With that being said, this article will focus on records collected and verified by the Wisconsin Buck and Bear Club(WBBC). Established in 1965, the aim of the club is to maintain the records of trophy animals harvested in Wisconsin. The WBBC is a network of state certified measurers, who closely work with a number of scorers from both Boone and Crockett, as well as Pope & Young. The WBBC makes sure that the trophy animals of Wisconsin are well represented in the official records. Finally, as many hunters are well aware, typical antlers are measured differently than non-typical. This means differences within the various measurements systems can add complication. For this reason the records highlighted will show both typical and non-typical deer. These records are from the WBBC. In the table below, G stands for gun, B for bow and P for pickup (or non-hunting event). Next comes the measurements, followed by points, county, year and hunter or owner of the deer. 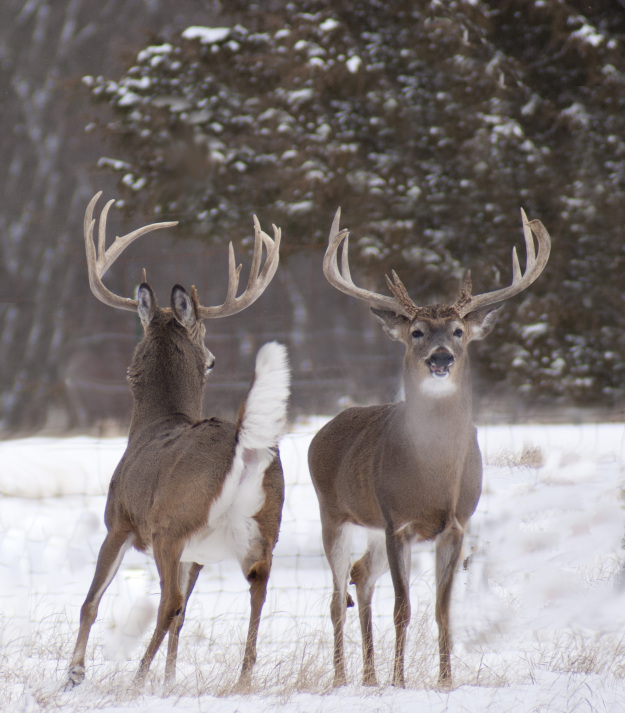 For more information on how you can hunt for your monster buck in Wisconsin be sure to check out the Wisconsin DNR website for all of the regulations for both in state and out of state residents. Finally, if you do take what you believe is a record deer in Wisconsin, be sure to contact the WBBC for guidelines on measurements. This post was provided by the folks at Camo Trading, purveyors of all things camo, including camo bedding, decor, clothing, and more.